Welcome home to this Beautiful 1936 historic house! It truly has it all- original shiplap, hardwoods, and a lifetime warranty metal roof. 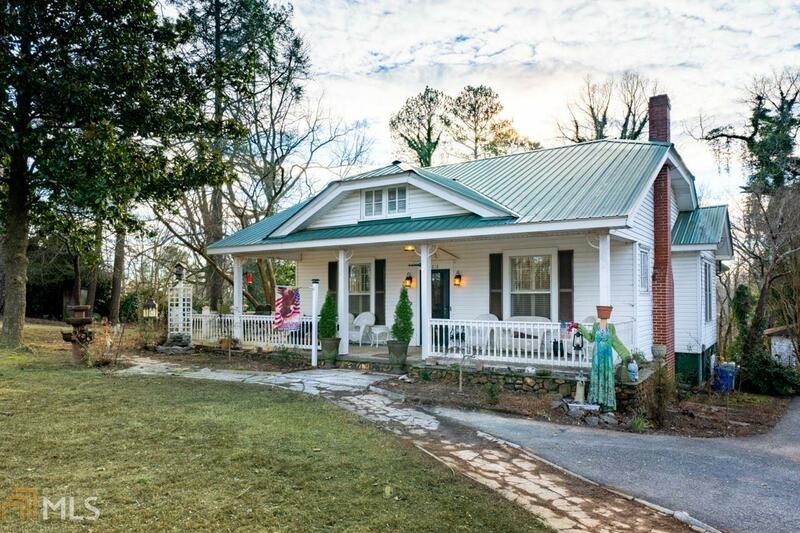 Large front and side porch and Spacious rooms and sunroom overlooking almost 2 acres! Updated bathroom with large tiled walk in shower and tons of storage with built in cabinetry. The one car garage and unfinished basement are just begging to be finished. This is an HGTV lover&apos;s dream. House is SOLD AS IS. Will not last long, hurry and make an appointment to view this special home.